Weekly responses to issues surrounding Michel Foucault’s intellectual lineage, theory, and inheritance. This first post in a short-term regular series of essays on Michel Foucault deals with his most famous influences. I begin with the precursors to Foucault’s own production of knowledge because their work and tutelage form the conditions of that production. This requires that I oversimplify some of their contributions to cultural scholarship and critical theory. I hope to maintain a baseline level of respect for their importance without fetishizing their names, just as I intend to maintain the tension between the familiarity of Foucault’s own name and the irreducibility of his intellectual production to any single certain thought or text. Enough lingering on qualifications and breast-beating, then. Let me turn to the names and their significance for Foucault’s emergence as a theoretical producer – and event. 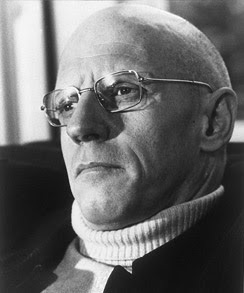 Michel Foucault – image via Creative Commons.